area of headache and migraine pain for best results. Relax, be peaceful and pain free. 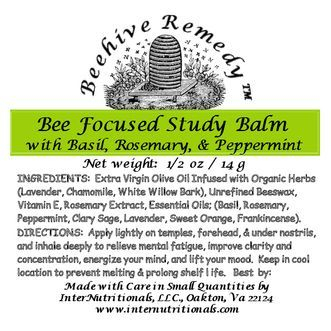 Bee Focused Study Balm is a unique formulation of potent therapeutic oils and organic botanicals which work to relieve mental fatigue, improve clarity & concentration, focus and energize your mind, & lift your mood. Apply under the nostrils, on the forehead, and on the temples. 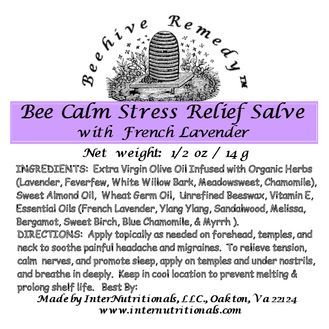 Revives and restores your spirit! 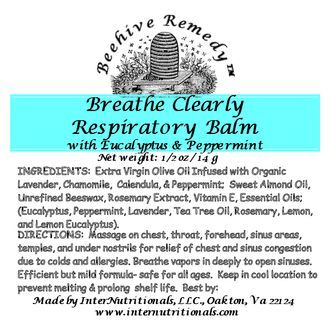 A gentle but efficient formula which provides rapid relief from chest and sinus congestion as a result of colds and allergies. Long lasting gradual release of vapors, comforting and penetrating warmth, and ready absorption of therapeutic oils, provide soothing comfort for all ages. 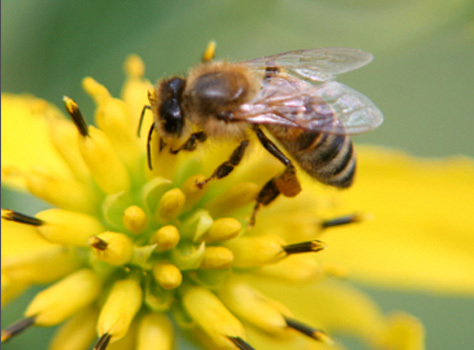 Apply on the areas of congestion (chest, throat, sinuses,) under the nostrils, and on the temples for best results. 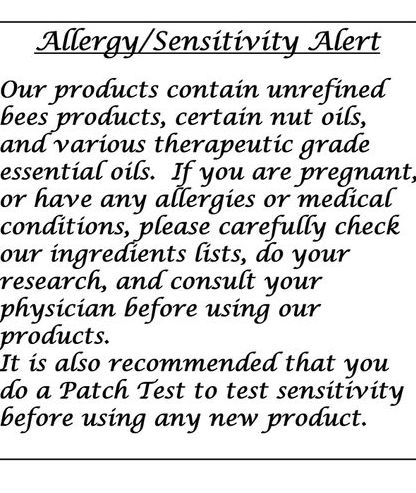 Please Read our Allergy/Sensitivity Alert!